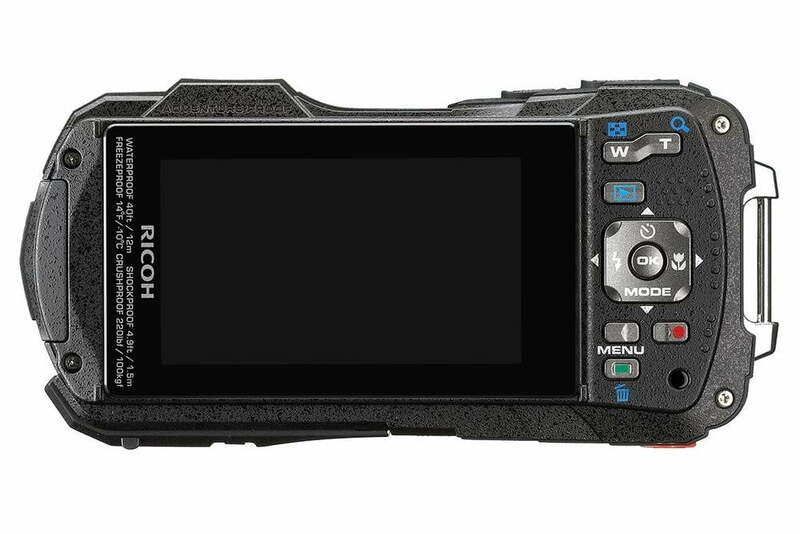 Ricoh has launched a new rugged camera, the WG-30W (formerly under the Pentax Optio brand). The big update here is built-in Wi-Fi, which lets you pair with a smartphone for image transfers and uploads, as well as remote operation. The WG-30W has that trademark design and form-factor shared by other WG cameras. It uses a new back-illuminated 16-megapixel CMOS sensor for better low-light performance. But it isn’t as rugged as the WG-4. The WG-30W is waterproof down to 40 feet and shockproof from 5 feet, versus the WG-4’s 45 feet and 6.6 feet, respectively; the WG-30W is also crushproof (up to 220 pounds), withstands temperatures down to 14 degrees Fahrenheit, and is dustproof. Still, it’s fairly rugged. The new camera has the Digital Microscope mode that lets you get sharper details of close-up images, using six LED macro lights around the lens for better, even illumination. There’s no GPS, but you could possibly use your smartphone for geotagging info. Other specs include a 28mm wide-angle, 5x optical zoom lens; 2.7-inch display (rated 230,000 dots); digital image stabilization; and Full HD 1080 video recording at 30 frames per second. The WG-30W comes in Carbon Grey and Flame Orange colors, and there are 10 optional mounts you can add. The camera costs $300, and will be available in December. The previous WG-20 was billed as an entry-level rugged camera, but the WG-30W costs as much as the WG-4 with GPS, but the attraction here is the Wi-Fi, which is a nice bonus for a travel camera. Globally, there is also a non-Wi-Fi version, the WG-30, but Ricoh hasn’t announced its availability in the U.S., if it’s even coming here in the future.